A milestone birthday or simply another year of life, both are a good reason to party! 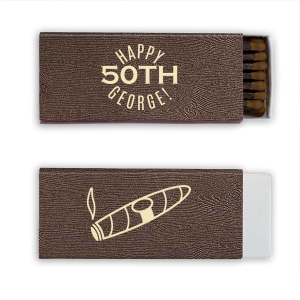 Create personalized birthday cigar matchboxes for your birthday party today. 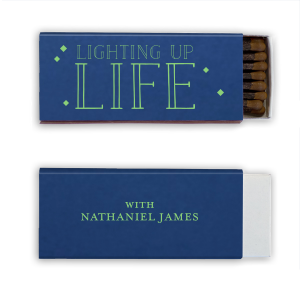 Give personalized birthday cigar matchboxes as party favors at the birthday bash you are planning. 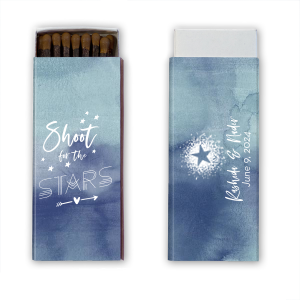 Customize your birthday cigar matchbox using a combination of text and images from our library to make an extra special birthday that much more memorable. 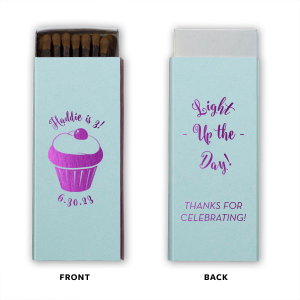 Combine matchbox and foil colors to create custom birthday themed cigar matchboxes that complement your birthday party decorations. 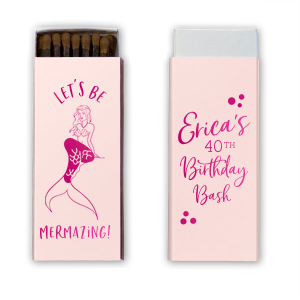 Personalized birthday cigar matchboxes are ideal for the birthday party you are planning and feature a sulfur-free match head that discerning cigar aficionados will appreciate. Get started designing your personalized birthday matchbox today!